January 29th, 4 – 6 pm with Musical Guest, Matt Bua. An all official, all star vocalization from the root of your belonging. 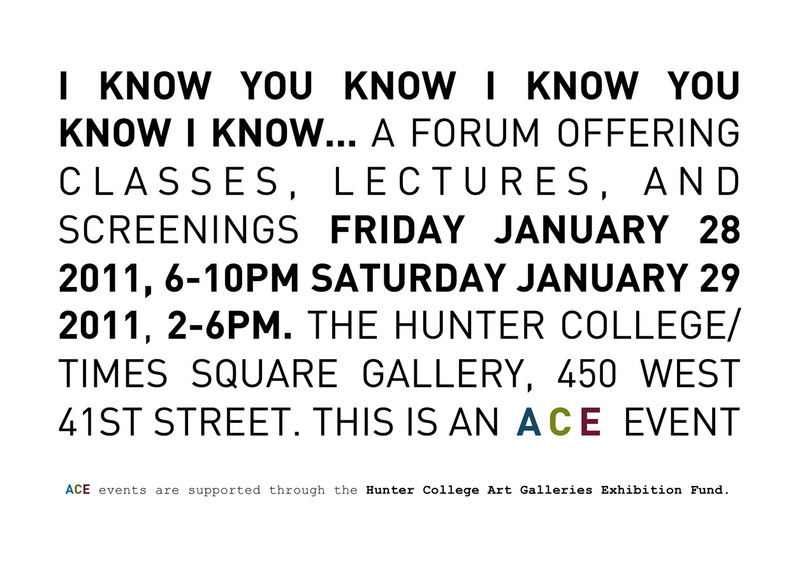 Hunter College/ Times Square Gallery 450 West 41st Street, NYC.